Each year, the Princeton Review releases its rankings for its best colleges across the country, with categories that include academics, extracurriculars, social life, and more. For its 2018 edition, the Princeton Review surveyed over 137,000 students across the United States, and Columbia University has topped the rankings for several of its lists. 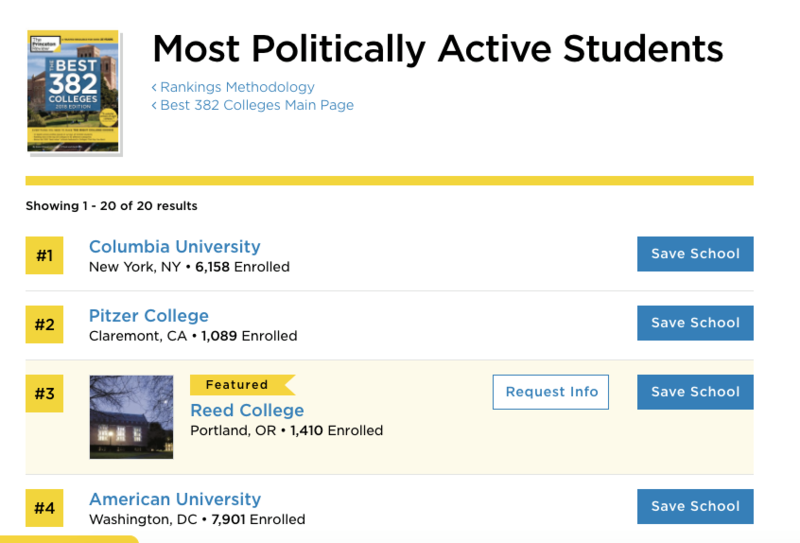 The school’s highest ranking is for having the “Most Politically Active Students,” with Columbia University coming at the #1 spot on the list, beating Pitzer College, Reed College, and American University, among others. Of course, the ranking comes to no surprise, given that Columbia’s Knight First Amendment Institute is currently suing President Donald Trump for violating the First Amendment. On the Princeton Review site, Columbia described its students as being very “ambitious” and not “afraid to speak out against what they think is wrong.” If further describes activism on its campus as being “essential to the Columbia experience” and is actually encouraged by the Ivy League school itself. 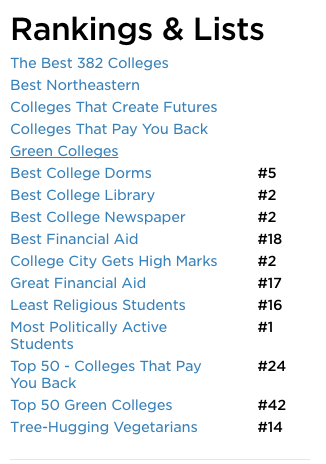 To see Columbia’s full list of rankings, click here.